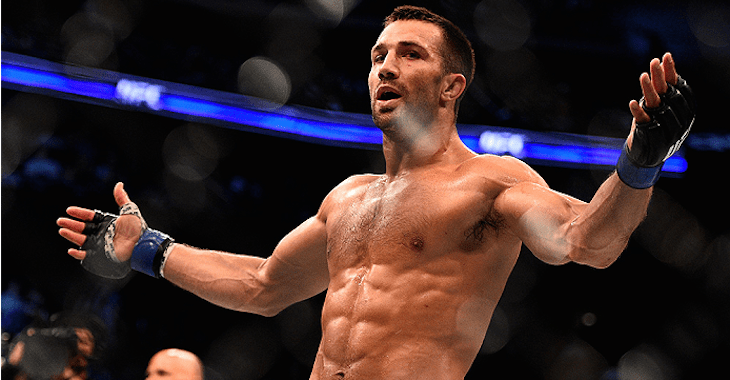 Home / MMA / Will Raczkowski / The Baddest Kid on the Block: Is Chris Weidman vs. Luke Rockhold the Sleeper Fight of the Night? 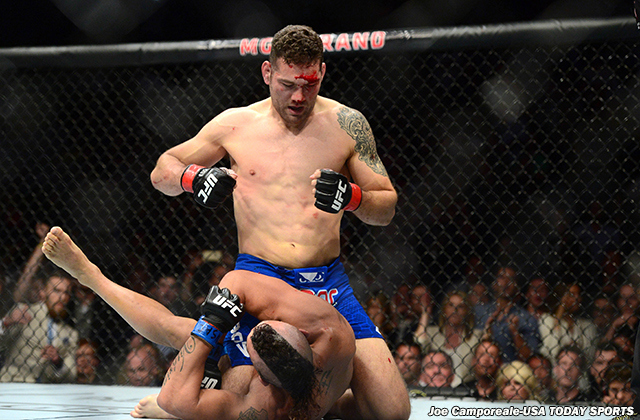 The Baddest Kid on the Block: Is Chris Weidman vs. Luke Rockhold the Sleeper Fight of the Night? It’s almost hard to remember, at times, that there will be two loaded nights of fights leading up to the hyped clash between Brazilian champion Jose Aldo and Irish phenom Connor McGregor. On Thursday Rose Namajunas and Paige Van Zandt fight to see which of the two can be the next marketable star for the women’s straw-weight division. The day after, real-life ‘Rocky Balboa’ Frankie Edgar will go to war with the “Mike Tyson of the Featherweight Division” Chad Mendes in a number one contender fight for the winner of Aldo/Conor. In all the media and lights, it seems as though the co-main event of Saturday’s historic fight card as fallen a bit under the radar. Middleweight champion Chris Weidman shocked the world when he knocked out the legendary Anderson Silva, and never looked back. He would go on to solidify his status as a true force to be reckoned with after battling Lyoto Machida (a former Light Heavyweight champion) to a hard fought decision win, and smashing Vitor Belfort (another LHWC) into a shell of himself. Chris Weidman is for real. But from the sun soaked Golden Coast in California, former Strikeforce champion Luke Rockhold has been building himself into a bonafide killing machine. He destroyed former top 10 middleweight Costa Phillopou with a devastating liver kick. He smashed Lyoto Machida into the dirt and finished the famously durable Brazilian without breaking a sweat, and embarrassed “The Barbarian” Tim Boestch on the mat before locking in a brutal submission. Now, his eyes are set on Weidman, and the gold around his waist. This is my sleeper pick for Fight of the Night, and truly a battle of elite fighters in all areas of the game. Physically, both are true specimens, with Rockhold being truly massive for the 185 pound limit. The 6’3 Californian is long, strong, and fights with incredible power in his kicks and punches. He’s also a remarkably gifted jiu-jitsu fighter, with just as many wins by submission as KO. Weidman is shorter, but good Lord, that boy is built like a small tank. Unbelievably gritty, and with an amazing ability to take punishment and seemingly get stronger with each punch, “The All American” has developed from a tough wrestler with submissions into a full blown martial artist. Working with renowned striking coach Ray Longo and BJJ blackbelt and former UFC champion Matt Serra, Weidman is truly a danger wherever the fight goes, but has finally met his match in Rockhold, as the two have no decided advantages over the other moving into this championship fight. So now it all comes down to the mental aspect of the fight. Both fighters are loved and hated for their confidence, and both have been referred to as “cocky” on more than a single occasion. Weidman once famously stated that he would never fight Anderson Silva again “for Anderson’s safety” saying “Honestly I just don’t want to see the guy get hurt again.” Weidman also held a very public feud with Vitor Belfort, who he believed to be using performance enhancing drugs, before finishing Belfort by TKO. Rockhold has aggressively called out Performance Enhancing Drug users himself and held a famous war of words against Middleweight villain Michael Bisping, before dispatching the perennial contender with a guillotine choke. With both fighters having grappling credentials, knockout power, technical striking, world-class coaches and a genuine dislike for one another, not to mention that talk some pretty good smack talk, means all signs point to Weidman-Rockhold being a true barn-burner. While McGregor and Aldo will shine in their main event slot, and their feud will finally come to an end, Weidman and Rockhold may just shock the world. This fight could be an instant classic and by the final bell…. we may just be too horse for the main event.